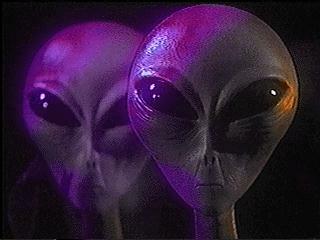 Are we being visited by Aliens from the cosmos? That depends on who you ask. The US government took the possibility seriously enough for 22 years with Project Blue Book (1947 - 1969). In 1969, however, they concluded that there was no evidence of a national security threat, no evidence of a higher technological power, and no evidence that it's unresolved cases were of extraterrestrial origin - and they shut the project down for good. Critics of Project Blue Book say that the purpose of the project was actually to find some plausible explanation to fit all sightings, that the detective work was haphazard at best, and that given this scenario, the 20% or so of the caseload left unresolved must have been real doozies, because no explanation was ever offered for them. So the government does not consider unexplained phenomena such as UFO's to be a threat to national security, but does that mean that we are not being visited by other civilizations? Well, let's look at it a little more closely. In the first place, it seems somewhat egotistical to imagine that we are the only thinking, manufacturing, productive entities in this vast universe. In all probability, there are indeed other civilizations out there somewhere, some of whom likely are capable of paying us a visit if they are so inclined. Then, there are stories that have slowly come to light about pilots and astronauts who have encountered strange entities. These are witnesses as credible as it gets, and some fascinating stories have come out about their experiences. Maurice Chatelain, former chief of NASA communications, relates that every Apollo and Gemini flight was monitored by vehicles of unknown origin, and that huge ships, also of unknown origin, were waiting on the moon watching as the astronauts did their work. Curiously, despite hundreds and even thousands of reports of sightings and abductions, no military power has ever had a single exchange of fire with these mysterious ships, even on the rare occasions when we have fired at them first. Are they so evolved that they don't do war anymore? Hopefully so, because that means we have hope here. But it could also be that they have no need to exchange fire with us because our weapons are useless against them anyway. This page is devoted to those UFO sightings that have never been explained, and pages will be added with specific Project Blue Book cases, the Roswell crash, and cases from other reputable sources from around the world. This is a work in progress, so please Bookmark this site, and return often, as new pages are added daily.